Damn, I’m depressed. I cried. A lot. I won’t reveal whether it was because of the happy ending I had so hoped for or if it was for the sad ending I had so expected. I just cried. 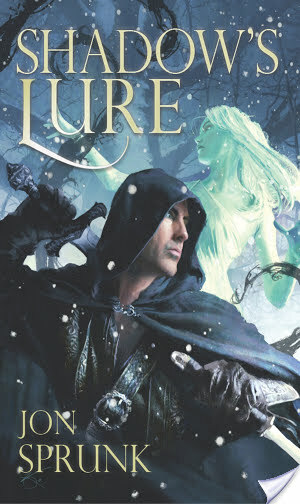 If you’ve read my reviews thus far, you’ll know Jorg is by far one of the most complicated characters I’ve ever read; a character that can pull just about every emotion from me. I think this book gave us the most insight into Jorg’s growth, and it shows us even more reasons why he ended up the way he did. It was heart breaking to read about, and after the scene in the abby, I had to put it down and take a moment to collect myself. Lawrence’s ability to convey Jorg’s feelings so simply has more impact than I could ever convey. I have one complaint, and it’s minimal. This book felt a tinsy bit more descriptive than the other books. Or maybe I was just impatient to know what happened. I especially noticed this when they arrived at the emperor’s palace. Again, for those of you who haven’t read my other reviews, I’m not a fan of description so it’s very easy for my mind to wander during those sections. My only disappointment came from Miana. I’d hoped to get to know her better, but both Katherine and Miana took a back seat in this book, whereas in book 2 they felt more important. I think Jorg stole the show, and since I’ve grown so attached to him, I ended up being fine with this while reading, but upon reflection I would have liked more time with the girls. The world turned out to be extremely interesting, in my opinion. Things just seemed to start clicking into place as I read. I learned new stuff, got a few answers, and ended up with new questions that were never answered. Fine by me. I like a bit of mystery, and this book let the mind speculate. For a reader who becomes bored with a lot of world building, I must say I finally found a book that actually made me curious about the world. I didn’t just enjoy it. I didn’t just settle into it. I thought about. I listened and wanted to learn. That’s a huge accomplishment on Lawrence’s part. I became a bit bored during the sections with Chella, but that’s because I had grown so fond of Jorg’s PoV that I wanted to be there all the time. There’s nothing to fault in it, and it was important. Once again I found Lawrence’s writing to be stunning, and I think each book jumped to a new level, pulling me under and never letting me go. It’s a damn hard book to put down. It makes one think. It makes one feel. And, for me, it made me cry. It came down to how brilliantly Lawrence weaved a sentence and how engaging his characters were, even if they weren’t the saints we’re used to reading about. Overall, I’d recommend this book to everyone I know, but sadly, I don’t think everyone would look at it the way it was meant to be seen. I know my mother wouldn’t. But my sister would. So I’ll talk it up to those I think would love it, and will think about it for years to come. It definitely gets under ones skin. Made me cry a lot too. I could still cry about it now if I wanted to. Definitely such a brilliantly written series- I get what you mean by how it can ‘pull just about every emotion’ out of you. Still relentlessly curious about how Makin’s story finishes, haha. Besides Jorg he was my favourite character and I think some of the tears at the end were for him too. Yes! Loved Makin as well. Great character. I would love to keep reading about all of them. If Lawrence ever decided to write some sequels about Jorg’s son, Rike, Miana, and Makin I’d pick it up in a heartbeat. I’ve already got Prince of Fools on my list. Needless to say, I’ll definitely be reading anything Lawrence writes.